Such an elegant way to finish your tree! 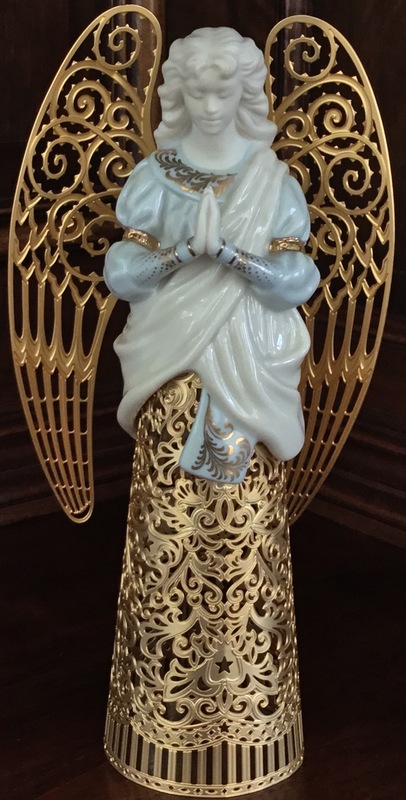 This beautiful Angel Tree Topper is 9 1/4 inches high. Simply stunning!